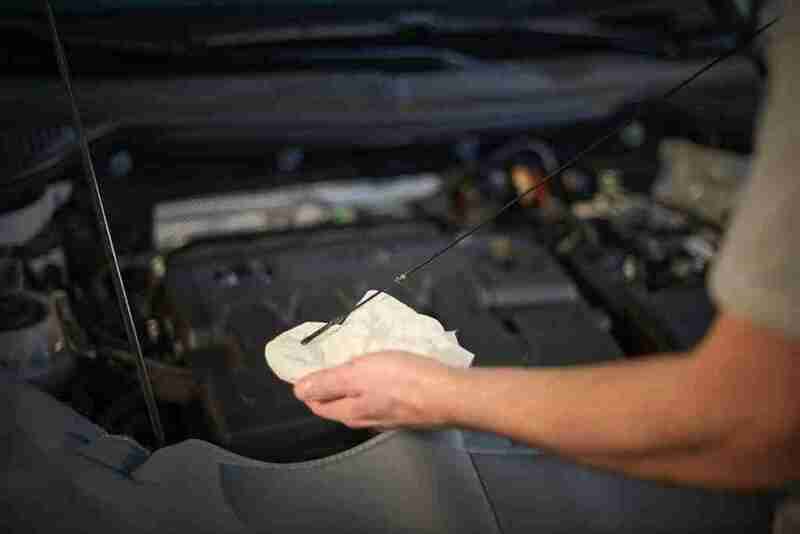 Part of keeping your car or truck in tiptop shape is to be certain that you regularly check your engine fluid levels. In actuality, monitoring of engine fluid levels is very important to the health of your vehicle. It’s also a terrific idea to read your owner’s manual as they will also supply information about engine fluid levels. The various fluids in your car’s engine play a massive role in nearly every facet of your vehicle, including fuel economy and longevity. Keeping engine fluids at the right level will help your car last longer and drive better, something we could all get behind. Vehicle fluids need attention more frequently than the 5,000 to 10,000-mile service periods common now. Incorrect fluid levels can cause breakdowns or even considerable damage. For good vehicle care, here is how to track key vehicle fluid levels between auto service center visits. Consider engine oil as the life’s blood of your vehicle’s engine. Assessing it on a regular basis is an integral part of maintaining your motor running well and getting the most miles from it. The oil lubricates the engine’s internal moving parts, keeping them from wearing too fast. Additionally, it will help to keep the engine clean, by preventing dirt buildup, and helps keep it from overheating. Checking the oil level is a quick, easy job that I recommend you do at every other gas fill-up. All you’ll need is a rag or paper towel, and your car’s owner’s manual if you have questions. First, check the owner’s manual and follow the automaker’s recommendations. Some newer cars have digital oil monitors and do not have conventional dipsticks for manual inspection. When checking engine oil yourself, be sure that the vehicle is parked on level ground and, with the majority of cars, the motor is cold, so you don’t burn yourself on a hot engine component. (With a few cars, the automaker urges that the oil is only checked after the engine was warmed up.) With the motor off, open the car’s hood and locate the dipstick. Pull the dipstick from the motor and wipe off any oil from its end. Then insert the dipstick back into its tube and push it all of the way back in. Pull the engine dipstick back out, and now look at both sides of the dipstick to determine where the oil is on the finish. Every dipstick has some method of indicating the correct oil level, if it is two pinholes, the letters H and L (high and low ), the words MIN and MAX, or just an area of crosshatching. If the engine oil level is between the two marks or within the crosshatched area, the amount is fine. When the oil is below the minimum mark, you want to add oil. Additionally, check the oil’s color. It should appear black or brown. But if it’s a light, milky look, this could imply coolant is leaking into the engine. Look closely for any metallic particles, too, since this might mean there’s internal engine damage. If you find either of those conditions, get the car to a mechanic for additional diagnosis. If everything’s okay, wipe off the dipstick again and insert it back into its tube, making sure it is fully seated. Close the hood and you are done. Transmission fluid is used to lubricate the elements of a car’s transmission for optimal performance. In vehicles with automatic transmissions, this fluid also acts as a coolant. There are lots of kinds of automobile transmission fluids, and the kind used in individual cars and trucks is dependent upon the sort of transmission inside. Automatic transmissions utilize regular automatic transmission fluid, as its name implies. Manual transmission fluid may vary, however, using either plain motor oil, a transmission oil called heavyweight hypoid gear oil, or automatic transmission fluid. 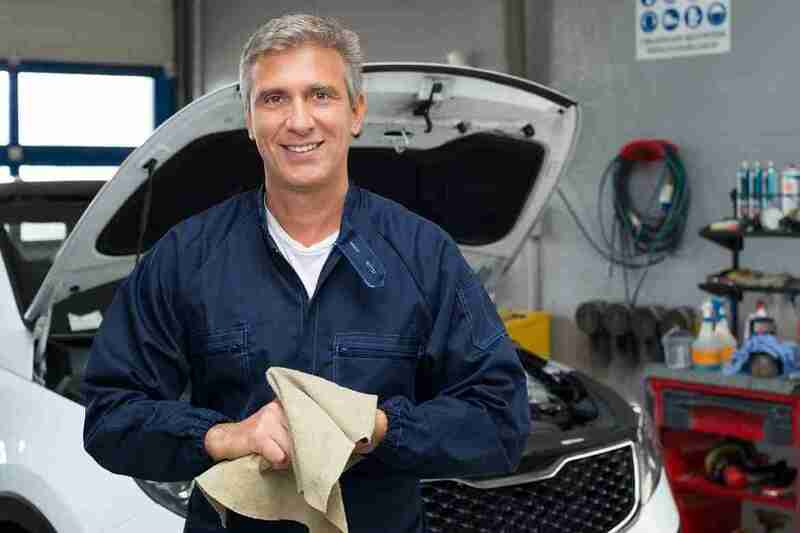 The sort of transmission fluid to use in vehicles with standard transmissions can typically be found in the maintenance section of the operator’s manual. For those who have an automatic transmission, you’ll get a dipstick to check your fluid level. It is usually found towards the rear of the engine. 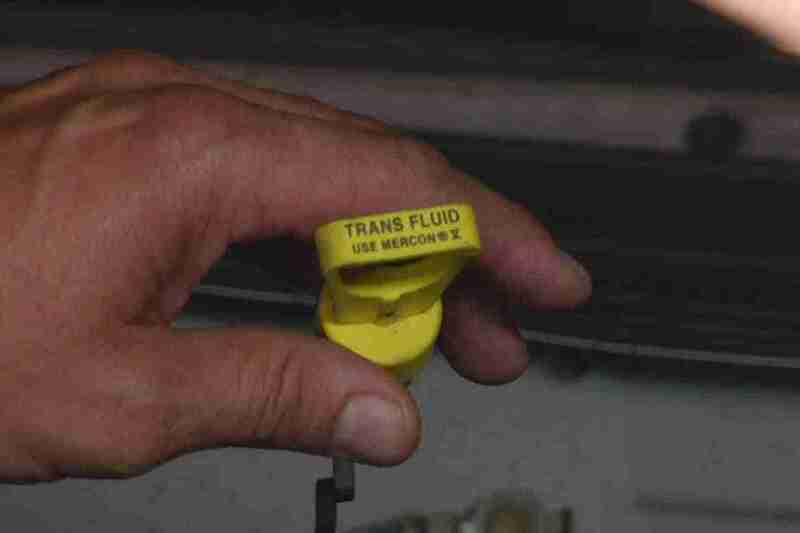 There are different techniques for assessing transmission fluids, which may be found in the operator’s manual. For many vehicles, they must be running and the transmission has to be in park or neutral. Checking your transmission fluid is the same steps as with assessing the oil. Check annually. Instead of opening the cap on the radiator, just check to find out if the antifreeze level is at the “Full” line on the side of the coolant reservoir shown below. It is a part of the coolant recovery system. If the antifreeze does not reach the “Full” line and add more antifreeze until it does. Some coolants are premixed, so check the bottle to find out whether you will need to add water or simply use it as-is. Tip: Only in an emergency should you add just water into the coolant system. Most modern engines have aluminum cylinder heads, which need the protective anticorrosive properties of antifreeze. A 50/50 mixture of water and coolant is usually adequate. 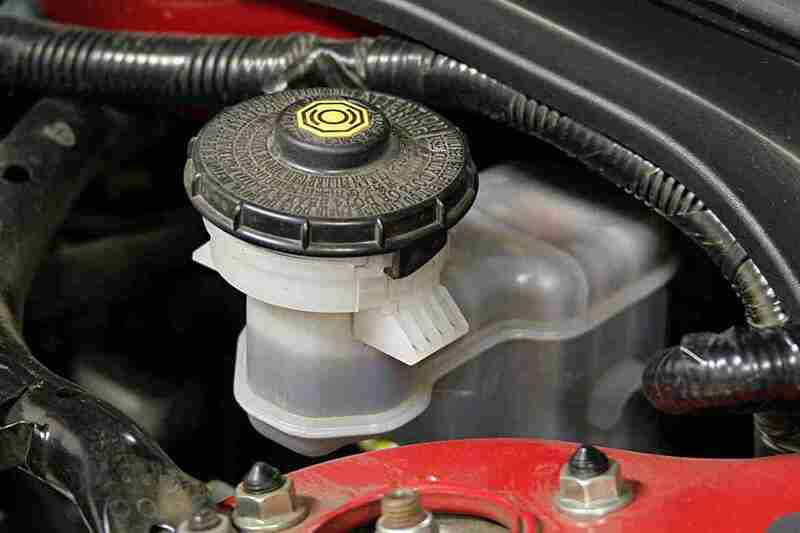 Some coolant recovery systems are pressurized and also have a radiator pressure cap instead of a typical cap. Some older vehicles don’t have any coolant reservoir, so to check and add coolant, you have to open the cap on the radiator. Warning: Never add coolant into an engine! Should you need to add more liquid, wait until the motor has cooled down to avoid the chance of being burnt or cracking your block. Don’t open the caps on either of those systems when the motor is hot; if you do, then hot coolant may be sprayed onto you. Ouch! 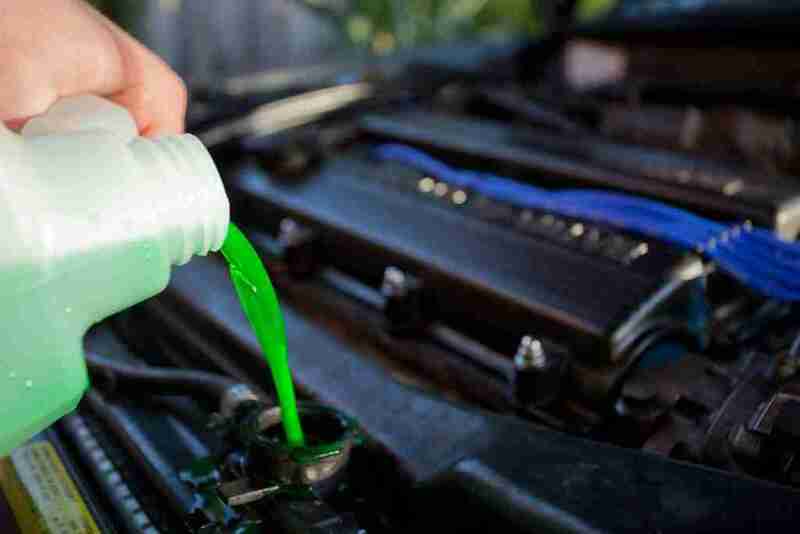 Coolant is generally red, blue, green, or yellowish. If it seems colorless, seems rusty, or has items floating around inside it, then flush the cooling system. When the coolant includes a milky, greasy surface, then immediately take the car to a mechanic to test for head gasket leakage. Most auto repair facilities have equipment for doing this check. Check radiator hoses. They are the huge hoses that enter the very top and come from the base of the radiator. Those should be firm, not mushy. If the radiator hoses feel soft and mushy, replace them. Your car uses oil to aid with the power steering. This fluid should be checked frequently. Often it’s assessed at the pump but at times the reservoir is different and away from the pump. If you do not check power steering fluid you could be placing yourself in danger of losing control of your car or truck. A power steering fluid leak or low level can lead to power steering fluid failure. It takes only minutes to check power steering fluid to determine it’s condition and level. To check your power steering fluid, look in your Owners Manual, for location, kind of fluid, and if your engine should be running or switched off; sometimes you have to also turn the steering wheel in either direction a few times while the vehicle idles. The majority of the newer cars permit you to check the brake fluid levels without ever needing to remove the master cylinder cap. There markings on the face of the reservoir identifying the various levels. When you’re removing the cover be cautious none spills on the paint because it lifts paint fast. To look at your car’s brake fluid level, then you need to find the reservoir. Its location is dependent upon the type of car you’ve got. The brake booster is on the driver’s side of your car or truck, usually up close to the firewall. Just in front of that, sitting on and attached to the brake master cylinder, is the brake fluid reservoir, usually, a plastic container such as the one displayed above. Note: Older vehicles do not have a plastic reservoir; rather, the master cylinder is a tiny metal box with a lid which you need to eliminate to check the liquid level. When you put your foot on the brake pedal, then the fluid in the master cylinder moves down the brake lines into front and back wheels. If there’s inadequate brake fluid, air is discharged in the brake lines and your own automobile does not stop correctly. Therefore, it’s important to maintain enough brake fluid on your brake fluid reservoir. Warning: If your vehicle has an anti-lock braking system (ABS), then consult your owner’s guide before assessing your brake fluid. Some ABS techniques ask that you pump the brake pedal roughly 25 to 30 times before inspecting and opening the liquid reservoir. Clean off the cover of the reservoir, but be careful. A little bit of dirt falling to the brake fluid can cause the inner seals of their master cylinder to fail. Your brakes will start to lose their effectiveness and eventually fail entirely. Open the top of the brake fluid reservoir. If you’ve got the kind with a tiny plastic reservoir on top, simply unscrew the cap of the reservoir. For those who have a metal master cylinder which comprises the reservoir, use a screwdriver to pry the retaining clamp off the top. Do not leave the master cylinder uncovered or an open can of brake fluid sitting around for a long time. Brake fluid soaks up moisture to keep it from settling at the hydraulic parts and corroding them. If moist air gets to brake fluid for no more than 15 minutes, then the fluid is destroyed. So don’t dawdle, and keep brake fluid-tightly shut until you are ready to use it. 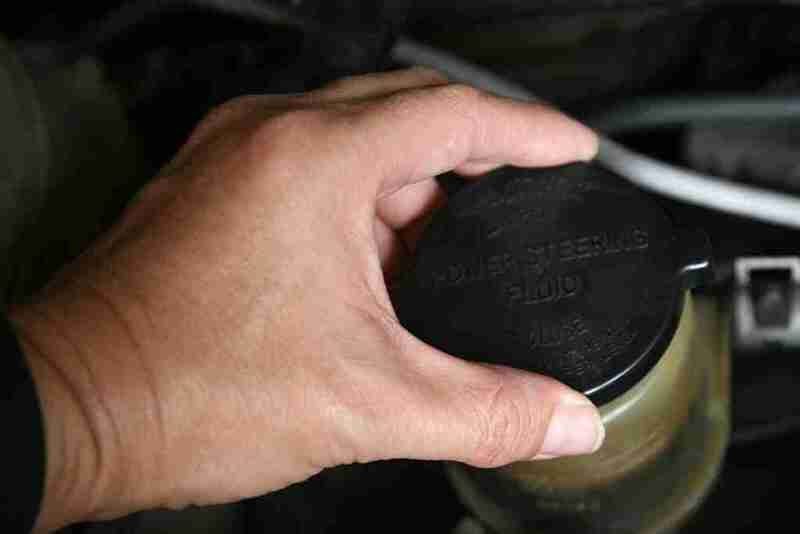 Look to see where the fluid level is located; be sure the brake fluid level is within half an inch or so of the cap. If the level is not high enough, add the appropriate brake fluid for your automobile. Should the brake fluid reservoir be empty when you check it, then you might need to bleed the brake system. Check the color of your brake fluid. Since brake fluid deteriorates with use, it ought to be replaced by a mechanic if it is dark in color. Have your brake fluid changed every couple of years. Doing this protects the hydraulic components from internal corrosion and premature brake failure. Windshield washer fluid is one of these maintenance items which you may overlook. You should check your windshield washer fluid when you fill up your fuel tank. 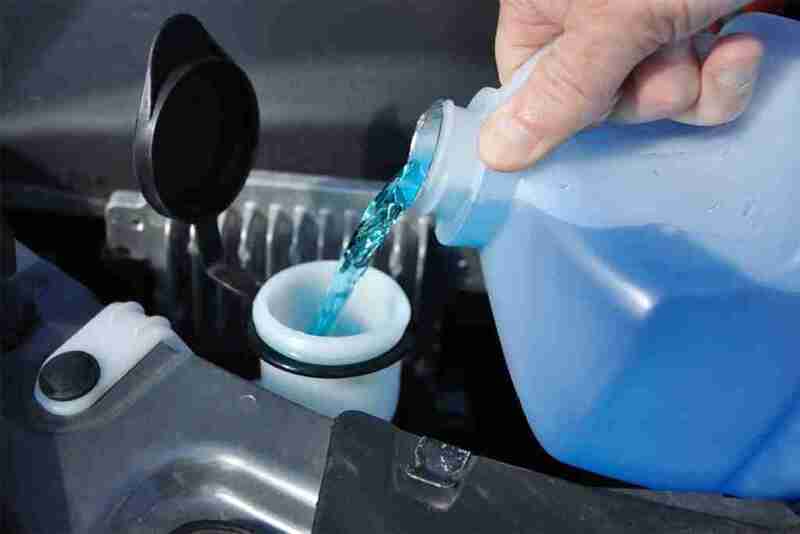 If your washer fluid is low, refilling it’s easy. Here is how to do it. Even if you know nothing about cars, it’s still pretty easy to locate the windshield washer fluid reservoir under the hood of your vehicle. The majority of the reservoirs are clearly marked. Nevertheless, in some of the newer vehicles, the reservoir is buried making it tough to see. Just pull off the top and begin filling — you can not hurt anything if it overfills. A funnel can make it a lot easier to fill your washer fluid and other fluids also. While fuel is what your car uses the most, don’t neglect the fluids. Create a program so that you don’t overlook oil changes, and constantly watch out for odd noises, odors, or vibrations. Your car engine fluids might not stop you in your tracks like running out of gas, but they are equally essential in keeping your car in great working order.